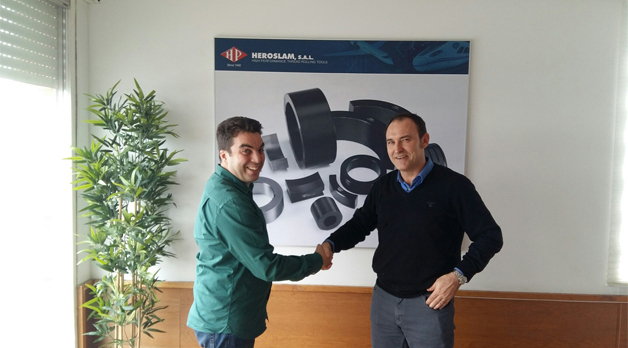 HEROSLAM, manufacturer of long life thread rolling dies consolidates its local presence in Turkey by appointing Mr Cihan Kurtulus as their new delegate for the Turkish market. HEROSLAM has a significant market share in Turkey, supplying high performance thread rolling tools for the main Turkish automotive and aerospace fastener producers and with the appointment of Mr Cihan Kurtulus the company intends to offer a local support to their existing and potential customers in terms of technical and sales assistance. According to Mr Alberto Gabika, Commercial Director of HEROSLAM, "we are very happy to have Mr Cihan Kurtulus as our local representative in Turkey. Our customer base in Turkey has grown significantly over the last few years and we thought we needed to have a local person in the field to assist our Turkish customers with technical issues and to increase our existing customer base. We aim to gain our clients' trust by being a technical problem solving company rather than being a commodity sales company. Mr Cihan Kurtulus has this technical capacity and the strategic vision." Mr Cihan Kurtulus is a post graduate mechanical engineer with 16 years of foreign trade and sales experience. Mr Cihan Kurtulus has travelled recently to HEROSLAM's headquarters in Bilbao, Spain, for yearly meeting to discuss 2016 targets, where the picture was taken.